Dr. Unai Díaz-Orueta, Ph.D., received his doctorate in psychology from the University of Deusto, Spain in 2006. Since 2000, he has worked as a clinical psychologist in a variety of settings, including the Crownsville Hospital Center, Crownsville, Maryland (EE.UU., 2000-2001), Hospital Psiquiátrico de Bermeo, (Spain, 2001-2002), La Loma Geriatric Residence, Castro-Urdiales (Spain, 2003-2005), and Zutitu Ltd (2005-2006). 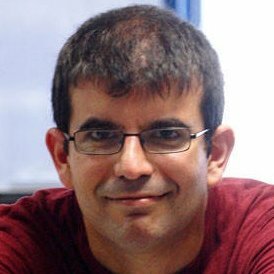 With a grant from the Oriol-Urquijo University-Foundation, he developed his doctoral dissertation, “Effects of psychological intervention in cognitive decline of residentialized elderly people,” published by UMI Dissertation Publishing, Ann Arbor, MI (USA). Additionally, his experience includes teaching courses and workshops in the maintenance of cognitive functions, wellbeing, and laugh-therapy for elderly people at IPACE Ltd, Vitoria (Spain, 2007-2008). From 2008-2012, he worked as a research psychologist at Fundación INGEMA, in several projects related to aging and physical disability. From May 2012 to December 2015, he worked first as a researcher at the R+D+i Department and then as R+D+I Director of Nesplora S.L. (Donostia-San Sebastian, Spain), and since May 2014, as a Collaborator Professor for the Neuropsychology and Education Master’s Degree of the UNIR -International University of La Rioja (Spain). Since February 2016, he works as Marie Sklodowska-Curie Actions Individual Fellow (Research Fellow) in Dublin City University (Dublin, Ireland) on the EC funded project “E-SPACE: European Standardised Process Approach to Cognitive Evaluation in older people”. Prof. Teresa Burke, the E-SPACE project supervisor, has recently taken up the position of Professor of Psychology at the School of Nursing and Human Sciences (SNHS), DCU, having previously worked in the School of Psychology, University College Dublin where she taught clinical neuropsychology and behavioural neuroscience at both undergraduate and graduate level. 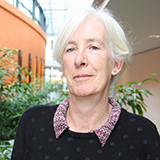 Prof. Burke has a 25–year history of world-class teaching and research in the area of clinical neuropsychology, she is a widely published expert in the field (>40 peer-reviewed publications; >700 citations) and she is widely credited with having made a significant contribution to the development of neuropsychology in Ireland. She has successfully supervised >20 doctoral theses and currently supervises 4 Ph.D students). Her primary research interests are neurological disorders and associated neurocognitive problems and construct validity and psychometric properties of neuropsychological assessment tools. Dr. Kate Irving is currently working in Dublin City University, where she is a Senior Lecturer in Mental Health Nursing and teaches a range of modules including; person-centred dementia care (Dementia Champions). 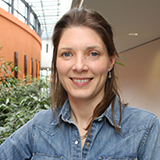 Previously, she worked at University College Dublin as a Post-doctoral Research Fellow. She completed her PhD in 2001 at Curtin University of Technology, Western Australia. This thesis was entitled: Case studies in restraint use. Dr. Irving is clinical lead in the Memory Works Clinic in the Healthy Living Centre, an initiative to decrease stigma and access to information about cognitive health promotion for all. She is a partner on an Erasmus programme `Positive about Dementia’ to establish a European, Multidisciplinary Masters in dementia. She is leading a national Dementia training initiative: Elevator, aiming to develop dementia skills capacity in services and communities. She is the Lead in Partnership with Mary Manning in the HSE partnership project Dementia Skills elevator aiming to develop capacity to care for people with dementia in communities and workplaces. Her research Interests include Dementia prevention/delay (Principle investigator FP7 Funded: Innovative Midlife Intervention for Dementia Deterrence), timely intervention in dementia care (Partner in FP7 funded Dem@care Ambient assisted living for dementia and JPND Actifcare, care pathways post diagnosis) and least restrictive care for behaviour that challenges and delirium superimposed on dementia. is Professor of Computing at Dublin City University (appointed 1997) where he has previously been Head of School and Executive Dean of Faculty, and is also Director of the Insight Centre for Data Analytics at DCU. He is also a member of the Irish Research Council with a Ministerial appointment from 2012 to 2018 and a member of the COST Scientific Committee which oversees the disbursement of COST's budget of €300m during the lifetime of Horizon 2020. His research work focuses on the development of theories and technologies to support all aspects of information discovery and human memory, allowing people to find the right information at the right time and in the right form. He is internationally recognised for his work on information retrieval — particularly multimedia retrieval — and on automatic video analysis. He is founding coordinator of TRECVid, the international benchmarking evaluation campaign on information retrieval from Digital Video, run by the National Institute of Standards and Technology in the US annually since 2001. He has more than 600 peer-reviewed publications on Google SCHOLAR with over 11,000 citations and an h-index of 51. He is an elected member of the Royal Irish Academy, the highest academic distinction awarded in Ireland. In February 2016, Prof. Smeaton has been awarded the prestigious Gold Medal of the Royal Irish Academy. The medals, which are sponsored by the Higher Education Authority, are awarded to individuals who have made a demonstrable and internationally recognised, outstanding scholarly contribution in their fields. 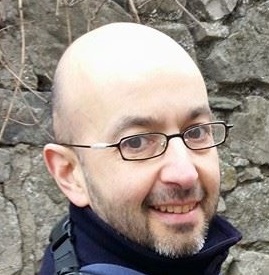 Dr. Alberto Blanco-Campal, Ph.D., is currently Senior Clinical Psychologist/ Neuropsychologist with the Liaison Psychiatry Services in Our Lady of Lourdes (Drogheda). He specialises in the neuropsychology of neuropsychiatric conditions, traumatic brain injury, dementia and ageing. He provides neuropsychology services for the Navan Memory Clinic (Psychiatry for the Older Person Services) and the Mater Misericordiae University Hospital (Dublin). 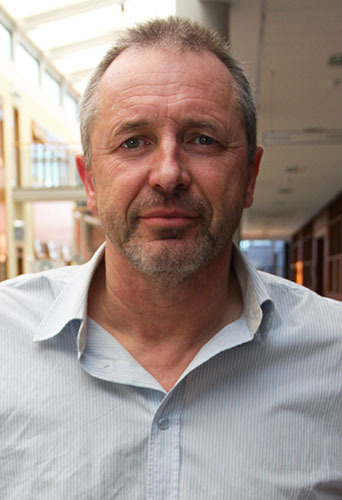 He is an Associate Lecturer in Clinical Psychology and Neuropsychology in University College Dublin (UCD) and collaborates actively on Neuropsychology research projects with the Department of Psychology at UCD and the School of Nursing and Human Sciences at Dublin City University. His current research interests include the adaptation of traditional cognitive tests, using the methodology of the qualitative process approach to neuropsychological evaluation, for the early detection of Mild Cognitive Impairment and Dementia.